Here is the final art for the Isaak poster - it is set up to be a 4 color print, they grey parts will be metallic silver, really happy with how this turned out! 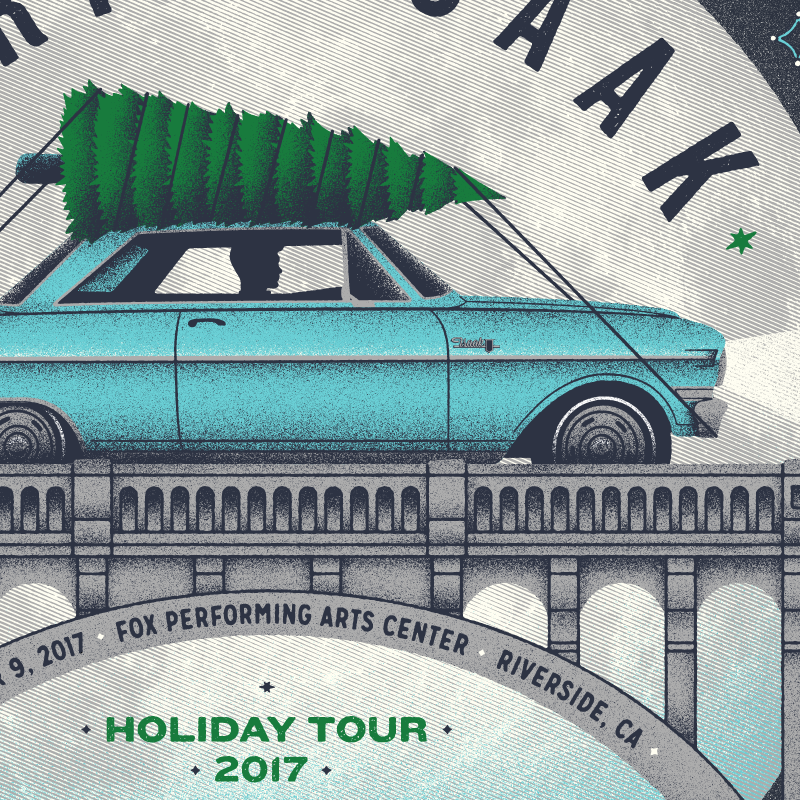 Since the show is part of his holiday tour I thought it could be fitting to do something inspired by the album art for his christmas album. 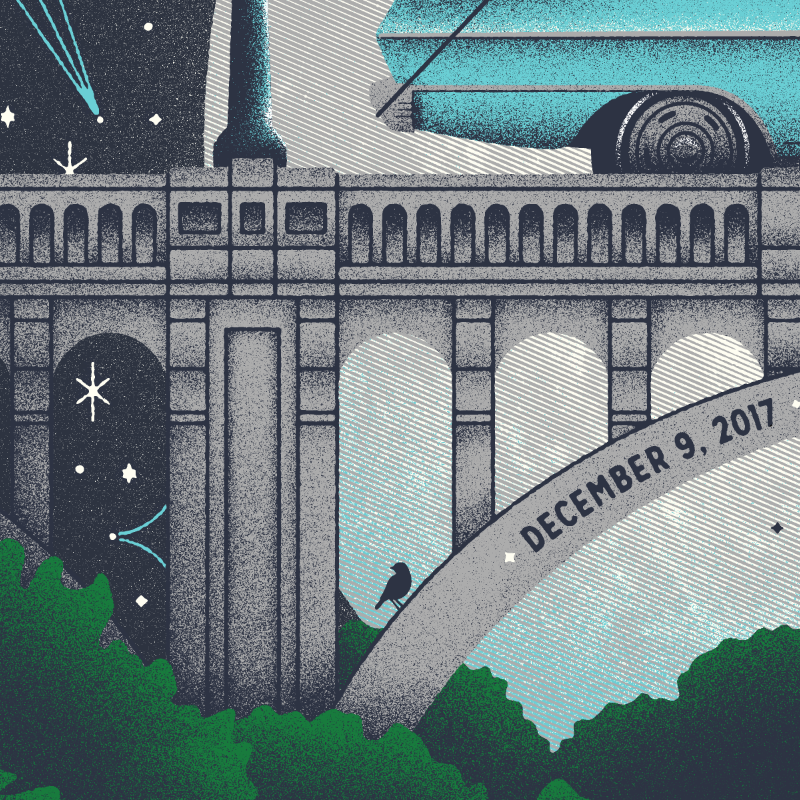 I came up with a cool illustration of Chris driving his 64 nova with over the iconic victoria avenue bridge with a christmas tree strapped to the roof. 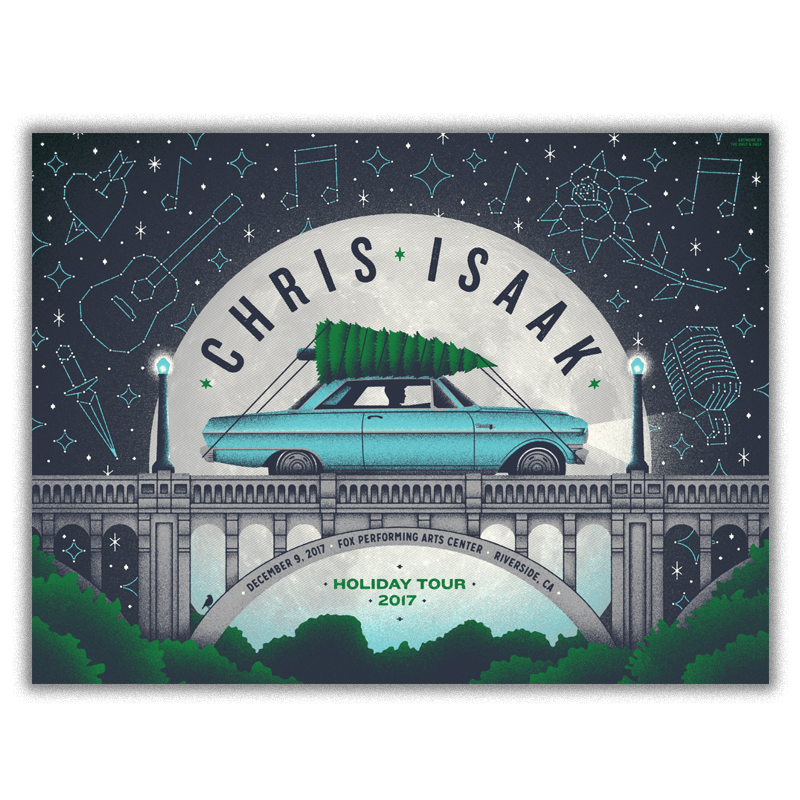 A big full moon silhouettes the car, surrounded by a starry sky packed with rockabilly and tattoo inspired constellations (a guitar, heart, rose, music notes, etc...) I think it could be cool to work the secondary information (date, venue, etc) into the bridge somehow. I think we could also use color effectively to give this a nice crisp winter night feel - navy blues, greys, light blues, maybe even some metallic silver.